Interested in Selling your Condo in Bristol Tower? the heart of the residential district of Brickell Avenue in Miami Florida. A stunning 40-story building superbly located on Brickell Avenue - the "Avenue of Stars" - this is one of Miami's most luxurious condos. With everything you could want and need in a luxury private condo community, Bristol Tower Condo Miami offers high-end style, premier location and access to the exciting lifestyle and pulse of Miami. Designed by renowned architect Luis Revuelta Vega Leon and built by Ugo Columbo, Bristol Tower Condo is one of the earliest examples of curvilinear architecture and an ultra-luxury condominium on world famous Brickell Avenue. Entering the foyer from a private elevator high above the Miami skyline, a solid brass door leads you to spectacular vistas of the Biscayne Bay, Atlantic Ocean and city vistas in every luxury condo residence. Here, travertine floors highlight a sweeping terrace with 270-degrees views from the stunning facade of Downtown Miami and the sparkling Atlantic to the lush tropical landscaping of Coral Gables. Oversized balconies, high-end kitchens, and deluxe bathrooms complete the décor of all the luxury residences. The Bristol Tower Condo Miami in the exclusive area of Brickell represents all of the style and sophistication of many of the Brickell Ave Condos including a spectacular waterfront location in Downtown Miami near all of the prominent attractions and Coconut Grove, stylish contemporary residences, all-inclusive amenities and a unique design. With one of the most exclusive locations in the Miami area, Bristol Tower Condo provides distinctive style and luxurious comfort within each condo residence, along with unparalleled proximity to Miami’s world- renowned business and leisure districts. Nearby to Bayfront Park, Bayside, the Performing Arts Center, American Airlines Arena, and hosts of shopping and exclusive restaurants Bristol Tower Condo Miami offers the finest in downtown luxury living. Anyone looking for a lavish and unique atmosphere and supreme location would be satisfied by all the luxurious comforts of Bristol Tower Condo! 1,210 – 7,610 sq. 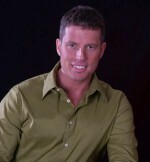 ft.
Steve Samuels is known as one of the premier real estate brokers in the South Florida market. His negotiation skills, market knowledge and no-nonsense, results-driven approach has made him one of the most sought after luxury condominium and single family waterfront realtors from Miami to Palm Beach County. CondosandCondos.com is one of the Leading Miami Real Estate websites where you can find Condos for Sale or Rental. Search for Luxury Condos in Miami, Miami Beach, South Beach, Sunny Isles, Hallandale, Key Biscayne, Bal Harbour, Fisher Island, Coral Gables, and all of South Florida. Bristol Tower Brickell Condos for Sale. Bristol Tower Condos located on 2127 Brickell Avenue Miami Florida. Call 305.494.1767 for MLS Listings Bristol Tower Condos Miami.